It is an old Jewish custom to write the Hebrew letter abbreviations of Beis Hei [ב”ה] on the letterhead of a letter, article, or document [involving even mundain matters]. 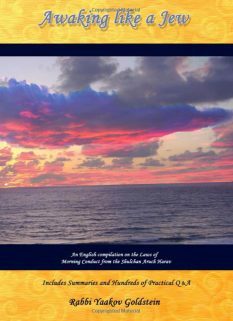 The reason for the custom: The above abbreviations are written in order to invoke Divine assitance in one’s written activity and to show that even ones mundain activities are connected with G-d. The abbreviation is considered like the actual words themselves, and hence has the spiritual ability to arouse Divine favor. The historical background of its inception: It is unclear as to when this custom first began. The custom is hinted to already in the writings of Rav Yehuda Hachassid and its earliest explicit source dates back to the 1500’s. 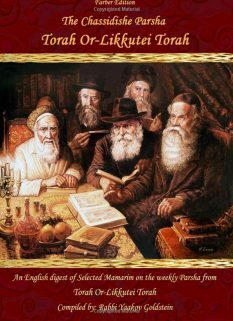 Although this custom was not widespread amonst all Jewish communities, and it is not found in the letters of the Rishonim and many Achronim, nonetheless, in today’s times it has become practically universal. The verse states “And on that day they began calling in the name of G-d” and the very next verse states “This is the Sefer.” From here we learn that when an author begins [to write a Sefer] he is to Daven to Hashem that he be successful to finish it. There was once a Sage who saw an author write the name of G-d in the top of the Sefer [Torah] and he questioned him as to why he wrote it, and the author replied as stated above. The Sage replied that one is to simply pray to G-d for assitance and not write His name as other verses speak against doing so. [This refers to a Sefer Torah, however] by other Sefarim the custom has become to write “Bisheim Hashem”which symbolizes that the person is writing Lisheim Shamayim [for the sake of Heaven] and that one who learns from it should do so Lisheim Shamayim. One is not to write on the book [the actual verse of] “And on that day..” [but rather simply Bisheim Hashem]. Does the abbreviation of B”H contain holiness? Some Poskim rule that the abbreviation of B”H does not contain holiness, and thus may be discarded regulalry. 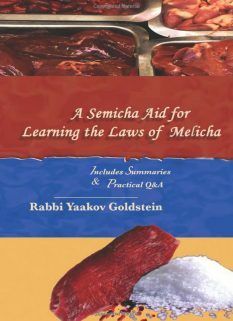 Other Poskim rule that the words B”H contain some level of sanctity, being the Hei is a letter of Hashem’s name and is reffering to it. The various customs for and against: Due to the above latter opinion, some Gedolei Yisrael voiced oppossition to the custom of writing B”H on letterheads due to worry of its sanctity getting desecrated. However, writing BS”D or בעזהש”י as opposed to B”H avoids the issue of desecration, and is hence permitted even according to the previous mentioned Poskim who negate the writing of B”H. Accordingly, many today write BS”D, or another alternative, rather than B”H to avoid this issue, even though the original custom was to write B”H. Others do not write anything at all, and so was practiced by some Geodlei Yisrael. 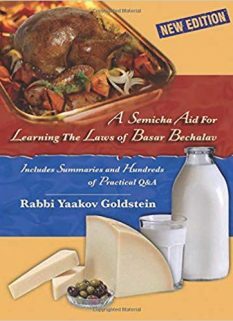 The accepted practice, however, is to continue with the old custom and write B”H and so was the custom of many Gedolei Yisrael, and so was the custom of the Baal Shem Tov and the vast majority of his students, including the Chabad Rabbeim. However, interestingly, on the heading of Mamarim the Rabbeim would write BEZ”H or BS”D and not B”H, which was reserved only for the heading of letters that they wrote. Practical directive of the Rebbe: Practically, the Rebbe instructed people to write B”H on all forms of letters, although also mentions the alternative of BS”D or BEZ”H. [The Rebbe’s custom was to write B”H on the letterhead of all letters, while BS”D was written on the letterhead of Mamarim.] 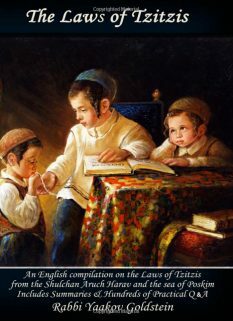 The Rebbe instructed that this applies even towards a Torah publication [such as a Torah journal, Kuntrus and even Likkutei Sichos pamphlets], that it should nevertheless begin with the above abbreviation of B”H. It is an old age Jewish custom to write the abbreviations of ב”ה on a letterhead, or Sefer. The Rebbe encouraged this to be done on all letters and publications, even if they are of Torah matters. Some write the alternative of BS”D in order to avoid writing an abbreviation of Hashem’s name. Others avoid writing it all together. Should one write B”H or BS”D on emails? It is a good custom to do so. This especially applies to long letter emails, in which the custom of writing Beis Hei in its top corner is identical to the old age custom of writing it by a letter. Should one write B”H or BS”D in text messages, chats, WhatsApp’s? The custom is not to be particular to do so. The term “Shemaya/heavens” is a paronym for G-d.
 See Igros Moshe ibid that we have not found a precedent for this custom amongst our ancestors; See Igros Kodesh 21:5 [letter 7759, brought in Shulchan Menachem 5:218 and in Menachem Meishiv Nafshi 2:817] that the Rebbe asked the Rogatchaver Gaon as to the source of writing this, and in fact brought Talmudic proofs to discredit it, and that it is, and never was, customarily done in documents such as Kesubos, Gittin and loan documents. 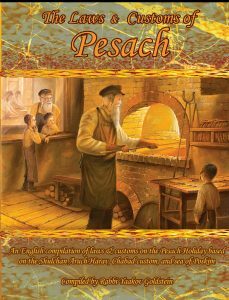 See Rav Yosef Kapach in Kesavim 1 p. 124 that this custom originally began in Europe and then spread to some, but not all, Sefaradi communities. See Toldos Yitchak ibid who lived in the 16th century “Therefore the custom is to write in the heading of every letter B”H”; Such headings can be found on letters dating back to the 16th century. See Rav Yosef Kapach in Kesavim 1 p. 124 that it is clearly evident from the many letters found in archives that the above heading was not written in previous times. For example, in Yemen there are no letter which bear this heading, as the custom never spread to there. Many letters from the Rambam and his collegues have been found in archives and they also do not contain any such ehading. Tzafnas Paneiach ibid “One is to beware not to write it on letterheads” [See Piskeiy Teshuvah 3:233 for the correspondence letters of the Imrei Emes with the Rogatchaver on this matter; However, see Migdal Oz p. 100 for a letter of the Rogatchaver to the Rebbe Rashab in which Beis Hei was written]; Igros Moshe Y.D. 2:138 [brought below]; Igros Kodesh 21:5 [letter 7759, brought in Shulchan Menachem 5:218 and Menachem Meishiv Nafshi 2:817] that the Rebbe asked the Rogatchaver Gaon as to the source of writing this, and in fact brought Talmudic proofs to discredit it, and that it is, and never was, customarily done in documents such as Kesubos, Gittin and loan documents. Interestingly, the Rebbe in two of his letters to the Rogatchaver indeed omitted the term B”H or any other opening term. However, in this letter he did write it, and so was the Rebbe’s final position as evident from other letters and from his custom. Opinion of Igros Moshe: See Igros Moshe ibid that some avoid doing so being that it is considered part of Hashem’s name and it may come to be desecrated. The Igros Moshe negates this opinion being it is not common to reuse papers and they are simply burnt. Nonetheless, he concludes that he does not see any need to be particular to write B”H, being it is not mentioned in previous Poskim. Furthermore, why should Hashem’s name be mentioned on a paper that has secular matters, or even forbidden matters written on it, such as Lashon Hara. Letter of Imrei Emes [printed in Piskeiy Teshuvah ibid] in name of many Gedolei Yisrael; Orchos Rabbeinu ibid that so was the custom of the Steipler; So is evident from letters of the Sdei Chemed; Rav Ovadia Yosef; Rav Yoel Teitelbaum; Rav Wozner, and many other Gedolei Yisrael of today as can be readily verified in looking at their Haskama’s to Sefarim.